RD has now officially ended and I got a booming total of 21 Shiny Castform but only 3 Shiny Lotad. Will share the story about the three Shiny Lotad, which was frustrating and funny at the same time, either later today or tomorrow. I completed 3 Lotad research quests for 3 regular Lotads. I still got 3 more quests in my queue. 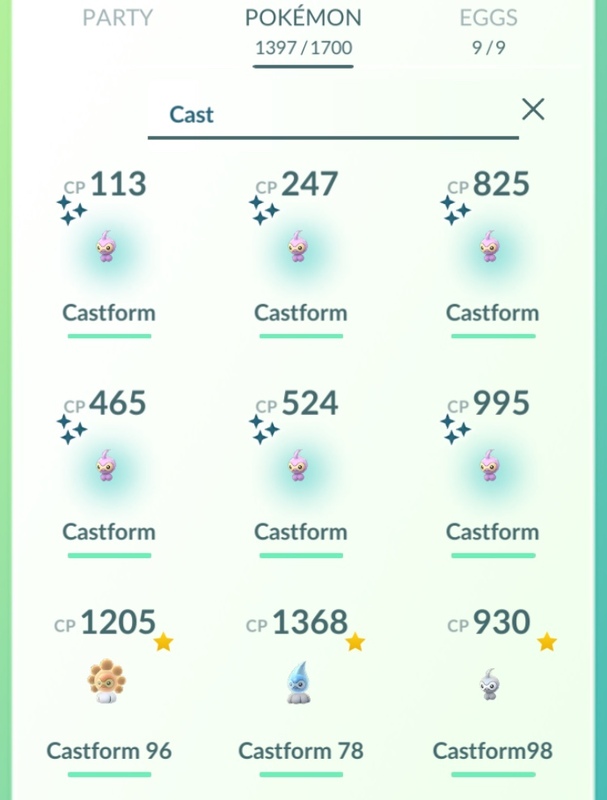 I caught 2 shiny Castforms. 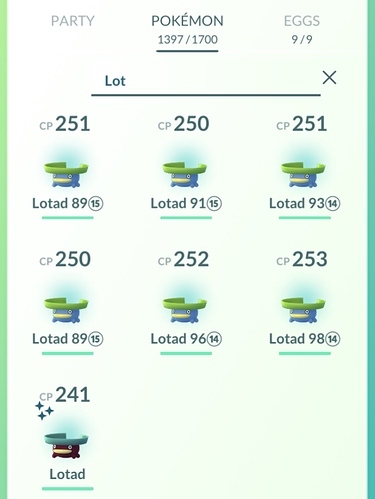 @Jaxxon8 completed 7 Lotad tasks and got 7 regular Lotads. He has 2 tasks left in his queue. He caught 3 shiny Castforms. Amazing. 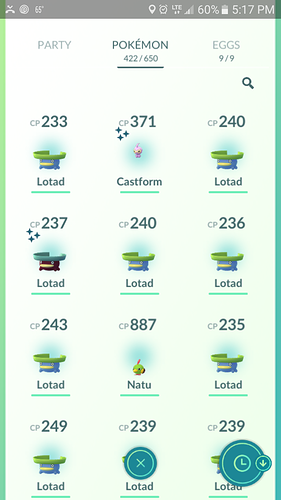 I got 6 Shiny Lotad, 7 Shiny Castform, 1 hundo Lotad (non-shiny) and 1 hundo Nidoran-Male. It was a fantastic day. 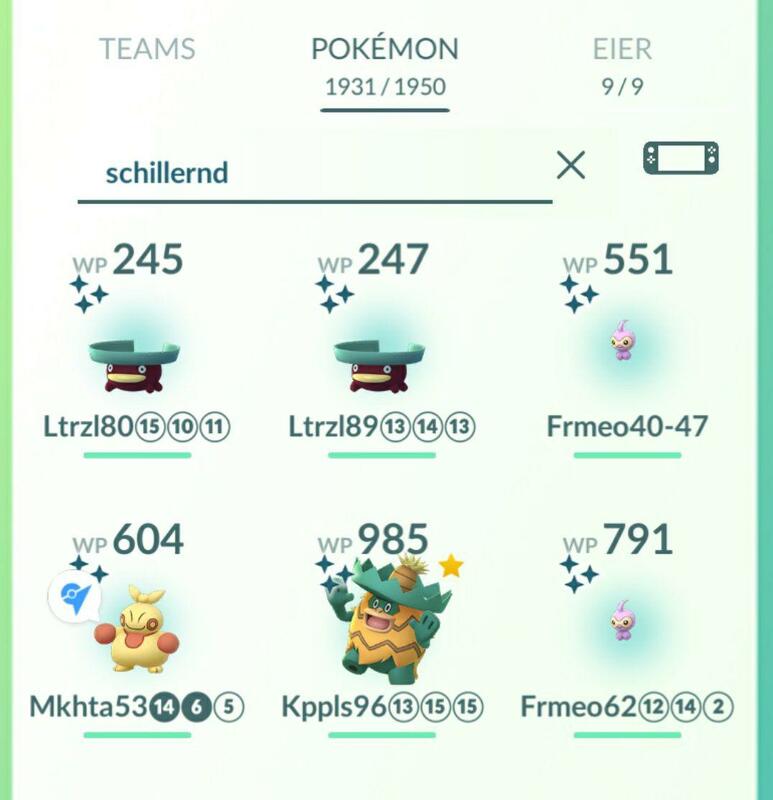 3 shiny Castform, 1 shiny Lotad, 1 random shiny Murkrow. Still tikme left out here though. Updating mine to say that I caught 13 Shiny Castform. Still have only 6 Shiny Lotad, but I have three quests primed to claim after midnight tonight, so it MIGHT increase. I got out for the last 4hrs and got 40 Quests done all up. I banked all the Quests for catching later so so I could take more time and Pinap them. The only Quest I was trashing was do a Raid Quest. I consider the day a fail for me as at the end of the 4hrs I had seen 0 Shiny Lotad. Upon catching everything banked I found one which was the 5th one for the day and I never got to see as I quickly clicked 2 of the compled Quests and it only showed me the non Shiny one on screen. Not quite as Salty after that but still consider it a fail as 1/40is very poor. 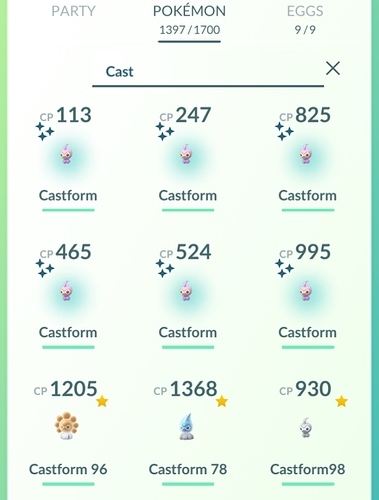 Got 6 Shiny Castform out of it as well. Will cull the clean up list a bit further later. 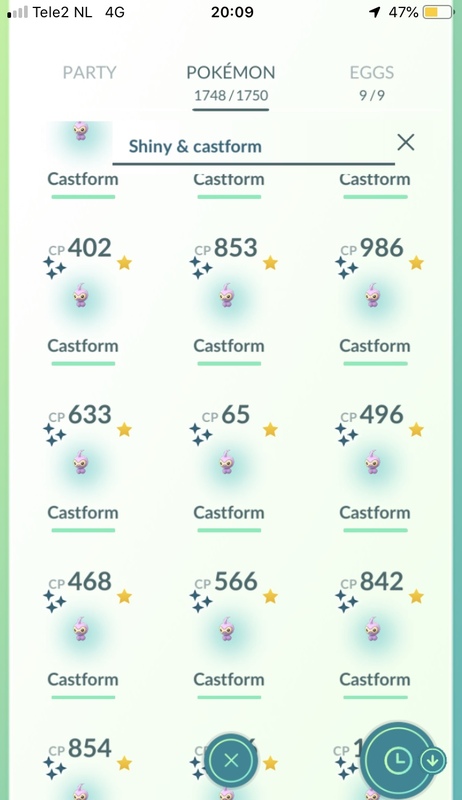 @Jormdeworm, wow 21 shiny Castform, is your weather partly cloudy so Castform is boosted? 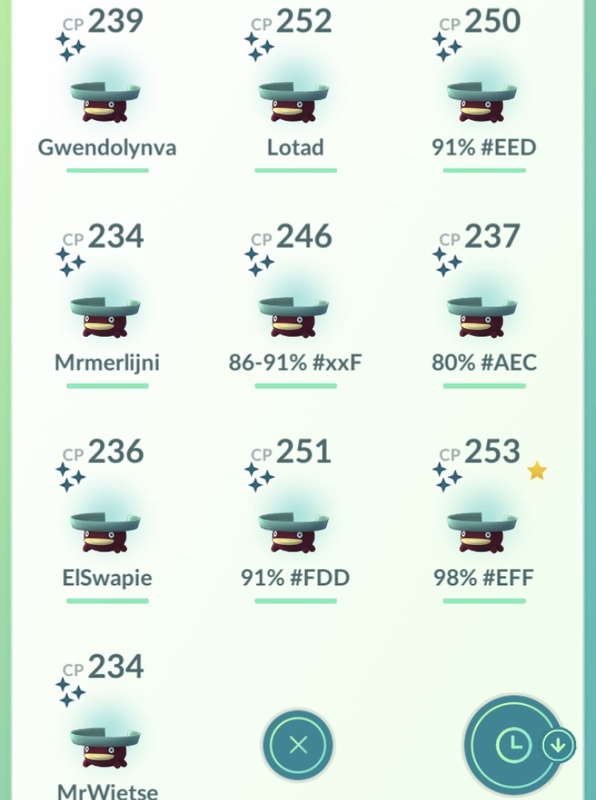 I got 13 shiny lotad and 12 shiny castform. It was Cloudy and changed to Rainy after ~4 hours. And 15 minutes later it changed back to Cloudy. And another hour later it was Sunny. 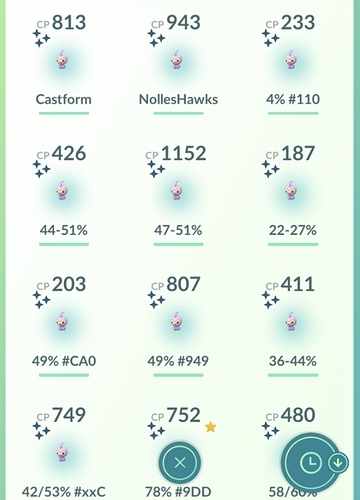 After the event, it changed to Partly Cloudy and I kept on seeing normal Castform. According to my phone I’ve played the game for 5 hours and 20 minutes in total yesterday, that’s including maybe 10 minutes after the event. And another 10 minutes trying for Smeargle. It was a great event… I didn’t think I’d be able to play that much, but some of our construction stuff got delayed, and I allowed myself the first 3 hours of the event like I’m used to. You know, I like to be well-prepared, and I made a list of Pokéstops in town (52, but I think forgot 4 or 5 rather remote ones) so that I could just work through it. At 6pm my husband suddenly suggested playing the remaining 2 hours. So we went out and visited some more stops. About 14 if I counted that right. 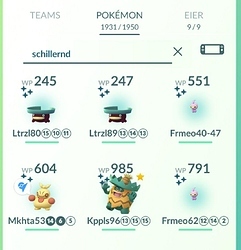 We got 2 shinies for my husband, and 2 Lotad and one Castform for myself, so I ended up with what I wanted - one for every evolution stage. With 44 quests done in about 5 hours I might not be the most efficient player, but I think it’s the best you can do in this town without destroying the fun.